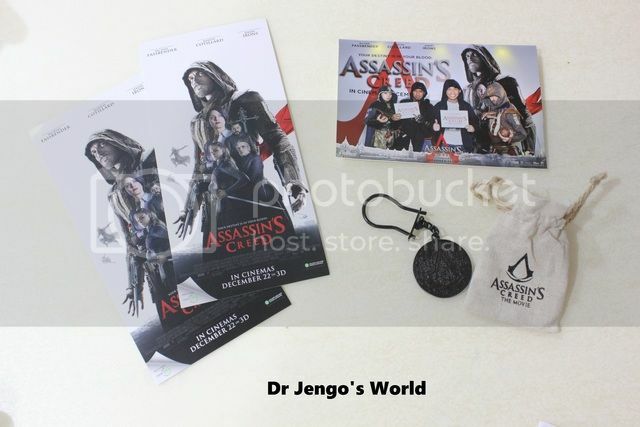 Dr Jengo's World: Assassin's Creed Movie Premiere in Singapore - Pics and Spoiler-Free Thoughts! 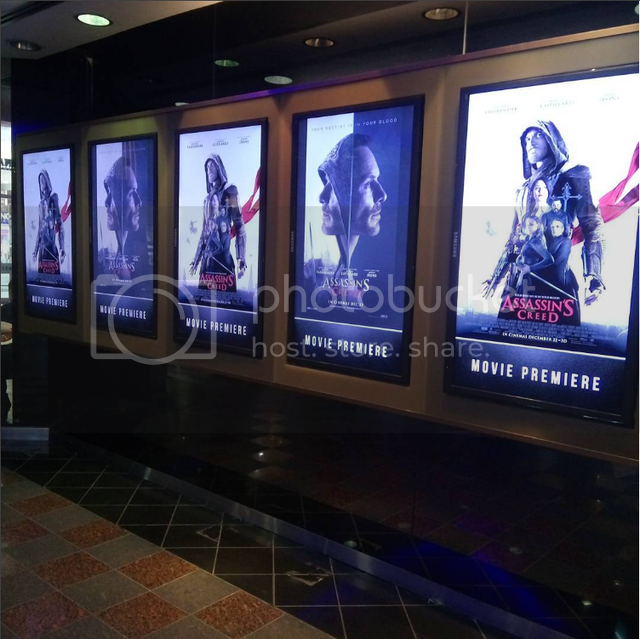 Assassin's Creed Movie Premiere in Singapore - Pics and Spoiler-Free Thoughts! Oh yea!!! 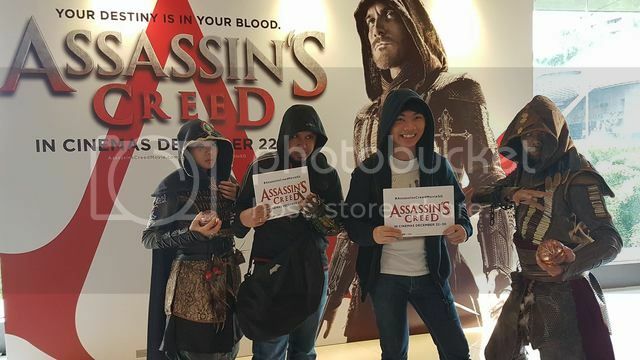 Had the privilege of attending the Assassin's Creed Movie Premiere in Singapore on Dec 21! There were no tickets on sale unfortunately and it looked like the only way to get one, was if you won a contest. The days passed and I pretty much was losing hope... and then boom! 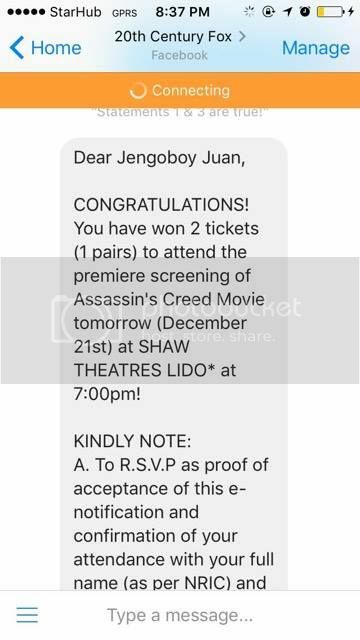 Just the night before, 20th Century Fox Singapore sent me a PM..
Woohoo! I think I let out a soft 'Yes!' in public when I saw this.. This was the one movie that I was so badly looking forward to all year so I was very, very happy without a doubt.. 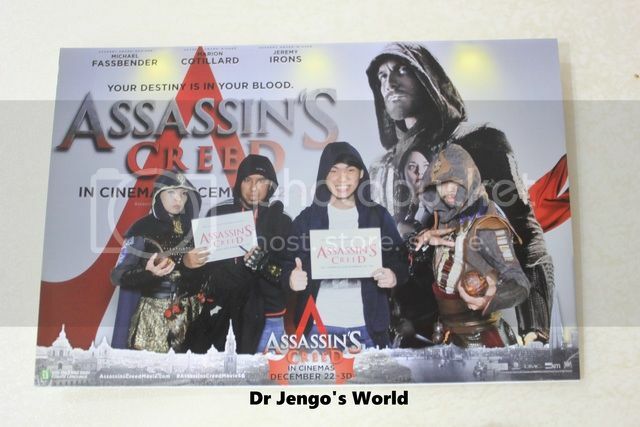 Unfortunately, the wife couldn't attend so I brought my fellow Assassin fan & friend, Jerome. Got our entry tickets the next day.. 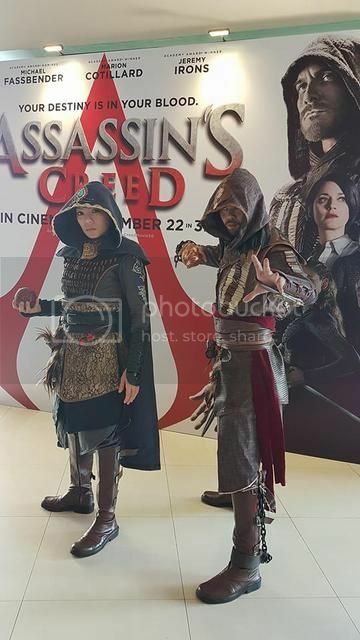 Early comers got a chance to take photos with Aguilar & Maria cosplayers..
We didn't plan it but both of us wore hoodies to the premiere.. now that's what I call a true fan! I even brought my AC Syndicate Hidden Blade replica. I was a bit hesitant at first but I thought screw it, lets do it! The cosplayers were stunning but I think we gave them a run for their money, don't you think?! and a freebie which was limited.. thankfully we came early! 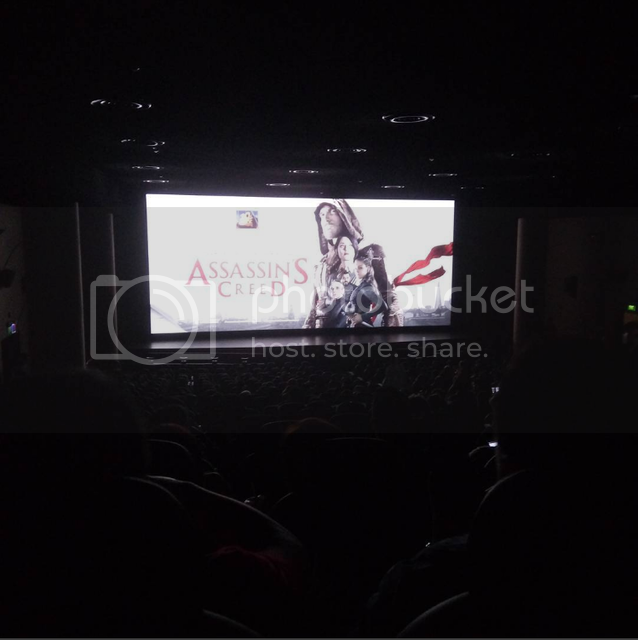 All in all, some nice stuff to take back from the Premiere..
Not too long later, it was time for the Movie! Movie was fantastic! Absolutely loved it.. As a fan I was very satisfied. Plenty of easter eggs and references from the games. Jerome and I were pointing out to each other throughout the movie. The background score and fight scenes were intense. Unlike the games, where the player-controlled Assassin is over-powered, I really felt the tension during the fights. In a Templar-controlled city, the odds were against the Assassins and the action sequences portrayed that.. I actually enjoyed the modern-day scenes more in the movie than I did in the games. Callum Lynch was a more interesting and likeable character than Desmond was in the earlier games. 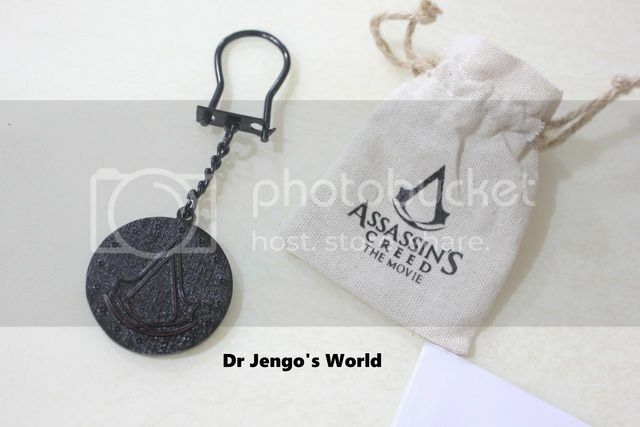 I wasn't too sure about the Animus design in the movie but after watching it, I think it's a lot more believable and realistic to have it like this instead of the dentist-chair type of design from the games. This also allowed the movie to show Callum feeling the after-effects of using the Animus, whereas the games talk about it but every user seems to be excited to jump back in. Though I would have appreciated a little less time spent on cutting back to the Animus when the historical action was going on. One small disappointment was the lack of the historical scenes in 15th Century Spain but this was already stated by the director and actors so I was prepared for that. As much as we can complain, a movie simply doesn't have as much time as a game has, to fully flesh out the historical period. I definitely understand the reasoning behind it so I don't understand why people are thrashing the movie because of this.. The ending could have been a little better as I felt it was pushing towards a sequel without giving it an excellent climax.. but the rest of the movie was just awesome. Absolutely loved it and I'm gonna catch it one more time, at the very least.. 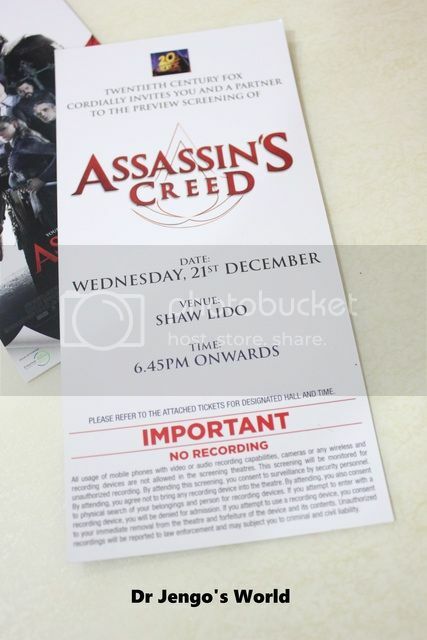 If you are a AC fan, don't miss this, go catch it in theatres so that we can get a sequel. 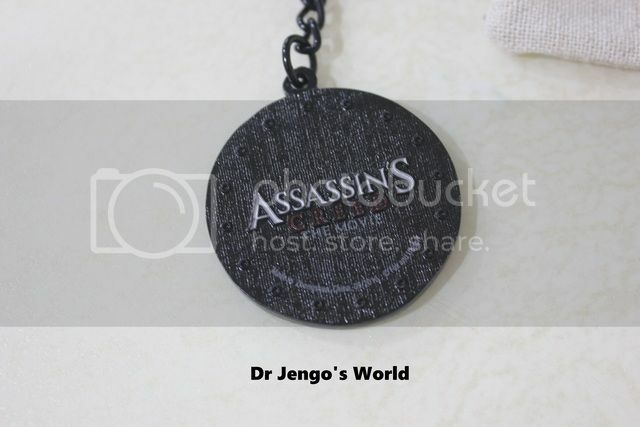 If you know nothing about Assassin's Creed, this is your entrance to this amazing franchise that is so dear to my heart! 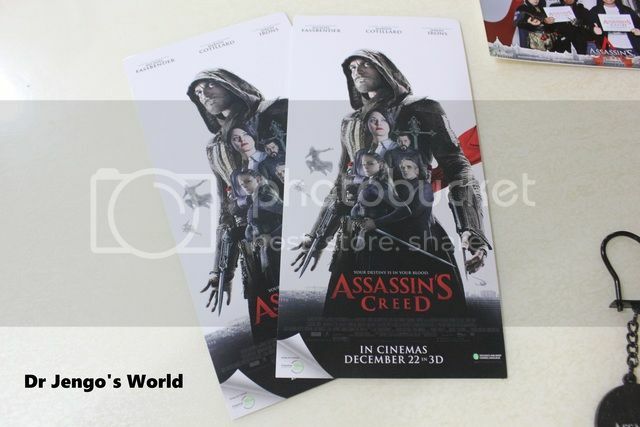 Thank you once again 20th Century Fox Singapore for the contest prize! 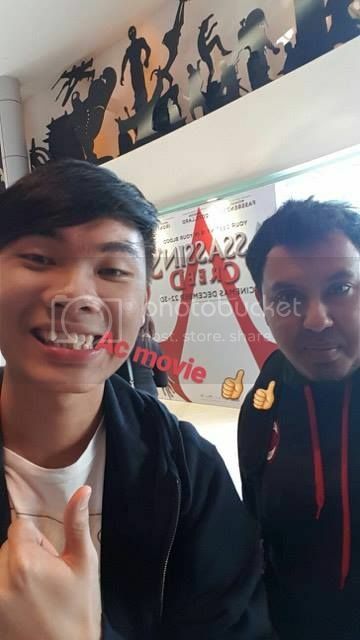 Glad you enjoyed the movie. I'm going to see it in a couple of days. Just wondering, is there a post credits scene? Thanks and Happy New Year! Nope no post-credits scene on this one. Tell me how you like it!